A seasonal favourite.This 100% Genuine Shearling Sheepsikn Aviator Hat is made with, cozy warm natural sheepskin fur interior and a durable Napa leather exterior. 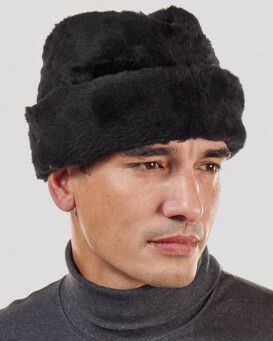 This hat can be styled with the ear flaps secured down or worn up. 4.5 / 5 from 36 customer reviews. "Pure fur, without any Synthetics, that I was looking for!" 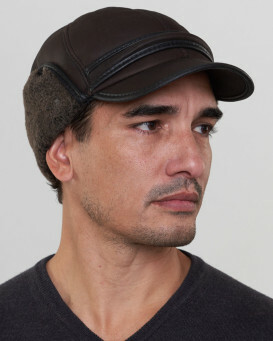 "Having searched everywhere for a quality aviator hat that is not overpriced, I can say I found exactly what I was looking for. 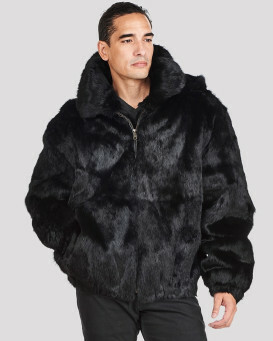 Genuine sheepskin exterior and fully shearling interior lining. No quilt, no synthetic stuff. I measured my head (that is shaved) and it was about 22 1/4 inches. I ordered a medium and it fits perfectly. Do not hesitate. This is a quality product." 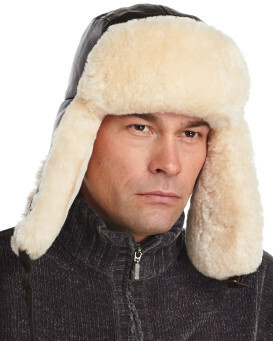 "I purchased this hat because I wanted something that would protect me in subzero weather. It fits snug and is made very well. When I came to this site it was a hard decision which hat I should choose. The website is very well laid out but I was a bit overwhelmed at first at so many choices. But the staff answered my questions and guided my choice and I am happy they did. This hat will serve me well for a very long time." "Quality product! Fur lining throughout the inside of the hat. Ear flaps can tie up on top or behind the head to offer a full covering of ears without having the flaps completely down and tied under the chin. I ordered a XXL and typically wear a hat size of 59/60 cm or 23.5/24 in and this is a good fit. 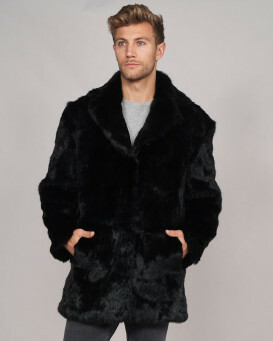 The shearling is thick, soft and does what it is supposed to, keep you warm and away from the wind and cold. Rich, deep brown color and smooth sheepskin outer is well stitched with 10inch leather ties on each side to securely hold hat in place. Great Buy." "The hat is great. It fit well and according to standard size. Many times when ordering online the size does not equate to the standard S,M,L. I ordered an medium and received a medium that did fit. 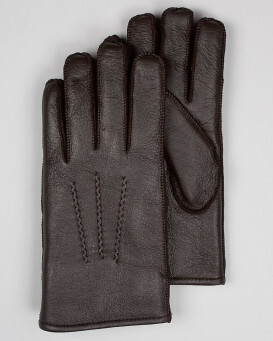 The quality of the leather is of high standards and is sewn well. 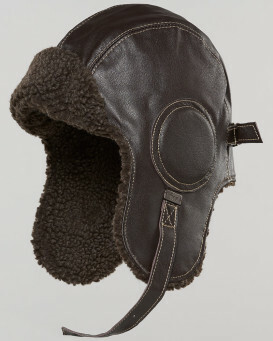 The sheepskin inner lining feels good and does keep head and ears warm. I'm vacation in in a cold climate and it diffidently helps to keep me warm. 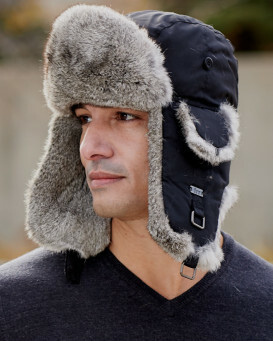 This will be the first of many hats I plan to purchase from Furhat world"
"Outstanding hat. 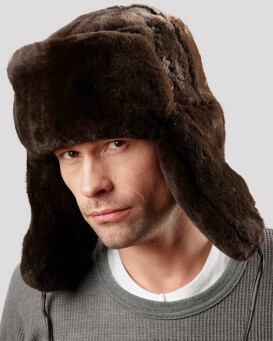 Extremely comfortable and warm, since the sheepskin completely lines the inside of the hat. Quality workmanship and materials. Color as pictured online. Following the Hat Size Guide was extremely helpful. Ordered size large according to the size guard and it fit perfectly. I measured at 22 1/2 inches, guide stated 23 for large, which makes a really comfortable fit. Very pleased with the service from FurHatWorld. Looking to purchase other products." 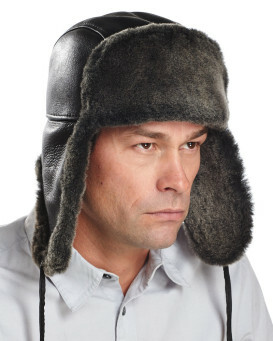 "The hat sits well and is very warm. And the two leather shoestring straps allow the warm side flaps to close nicely under your chin and keep you toasty warm--or just tie the flaps on top when it's not yet cold enough. 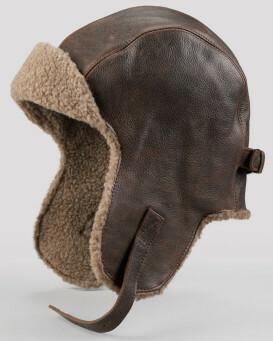 Also, the shearling front doesn't hang low over your eyes like the rabbit fur aviator hats do. I love this hat!" 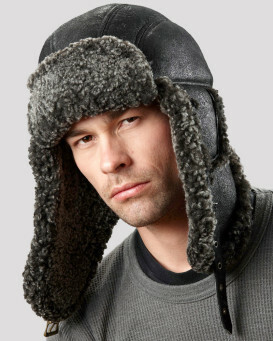 "Use on the gun range Keeps your head warm. Looks good Shopping experience excellent"